Tips for Managing Your Small Business Cash Flow. Remember Cash is King in Business. Another year goes by and we still need to focus on cash flow. So let’s take a look at tips for managing your small business cash flow in 2017 and beyond. Whether you are a newly formed small business or one that has been established for a while, it is the cash flow of the business that must be controlled. Even with the best planning, most small businesses will encounter cash flow problems at one time or another. There will always be those unexpected costs. You could end up with lower than expected sales volumes or perhaps late-paying customers. Plus a multitude of other unforeseen circumstances. All of which will disrupt your business cash flows. So I decided to re-look at as many tips as I could think of to help you navigate your way through the cash flow journey of your business. Top of the list is making sure you send your invoices immediately. The sooner your customers have their invoice, the sooner they will pay. Or better still get payment upfront, or at least a deposit. Don’t wait till the end of the week or the end of the month to invoice, as this builds in an automatic delay and therefore a delay in your cash flow. Bad debts can destroy a small business. The times I’ve heard how one large bad debt has taken down a whole business. This problem can be mitigated by making sure you credit check all customers before you take them on. If a customer has bad credit, either don’t take them on or restrict them to cash up front or cash on delivery. You can take out an insurance policy, which will pay out in the event of suffering a bad debt. Taking out this type of insurance will require you to control your customers in a much more rigid fashion, as they will normally insist on a credit check; having signed terms of engagement; and credit limited set and adhered to. Whether or not you take our credit insurance, make sure you set realistic credit limited for your customers. Make sure your customers keep within their limits too. It is all too easy for them to over-step the mark and creep sets in and before you know it, your customer owes you way of the limit. It is more likely that customers that exceed their credit limits, are more likely to be in cash flow difficulty and of a higher risk. So be careful and conscientious. Have a good credit control system in place. Make sure your customers know what your payment terms are. Send out reminder letters before the invoice becomes overdue and put your customer on stop right away if they don’t pay on time. Make sure you have a credit control system in place and do not hesitate to follow up on late payments. Emails are a much faster way of informing your customer of their account balance with you. Speed is of the essence and keeping on top of this is essential. Snail-mail letters are not only slow, but also more costly and time consuming. Make sure your accounts system has an email facility built in to email statements and follow up chasers. If a customer pays you by cheque and the cheque bounces, I’d recommend changing this customer to cash terms only. The same applies to standing order payments missed or where you take payment by direct debit, if any one of these is stopped, this should put you on notice. Carry out a further credit check on the customer. Payment incentives are a good way to get people to pay you quickly. Be careful not to offer to high a discount, but enough that it becomes an incentive to pay you earlier. Make sure that customers only take the incentive where they have paid within the ‘Incentive payment period’ as people will always push the boundaries. 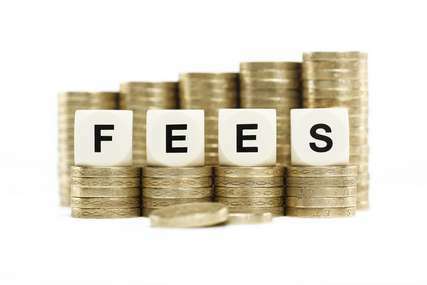 Be careful with this one, as late payment fees and interest can be challenged in a court. However, if you have terms of business and get your customer to sign them before you trade with them, any charges noted in the agreement should apply. Warn the customer in a letter of the potential late fee, when you remind them to pay their invoices. Sadly, small businesses that don’t have solid late-payment penalties and collections policies in place are often taken advantage of. Include the methods of payment and how to pay on your invoices. Always include your bank details at the bottom of their invoice, as this makes it easier for them to pay you. Let them know your other forms of payment. Remind your customers what your payment terms are on your invoices. An invoice must have the tax point included, but also include a ‘Due by’ date too. Offer more ways for your customers to pay. Give your customers many ways to pay you, which includes the obvious of cash and cheque payment. As already noted by including your bank details on your invoice, your customer will be able to do a direct payment into your bank. Sign up to a credit card company so that you can take payment by way of debit and credit cards. If you know you will have a cash flow short-fall, consider taking out a bank loan or sign up to a bank overdraft. Preparing a cash flow forecast will help with calculating what level of loan you might need, and to anticipate your planned cash flows. Always remember that a non-paying customer is not actually a customer at all. Many business owners are worried about pushing customers too hard for payment, but without the payment, they are not worth having as a customer in the first place. As a part of your cash flow planning, it is important to avoid surprises. There is nothing more difficult than searching for cash when you desperate or backed into a corner. It’s invariably much easier to plan ahead and to obtain finance before you need it. 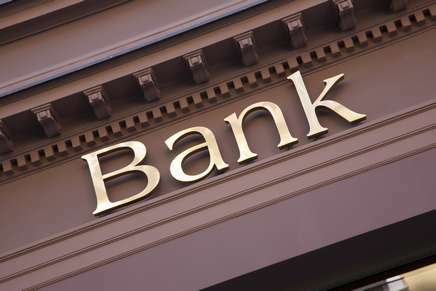 Bank like to see a well manged business, and are more likely to lend to this type of business. Keeping you accounts up to date not only helps you to better manage your business, but it will also help you to manager your cash flows better too. Accurate accounting records are essential to understanding your business’s financial standing. Having good accounting software will help you to better manage your business and hence your cash flows. Make sure the system has good debtor aging reports, so that you can monitor your customer balances on a regular basis. Use your past monthly income and cash flow statements as well as your balance sheet to calculate available cash and project likely requirements for the next three, six or 12 months. Having these financial statements will help alert you in advance of any shortfalls and give you time to prepare for and shortfalls. You can gain a lot of insight into your business by comparing actual figures to what you forecasted. If you see discrepancies between the two numbers, dig further to see what might be happening. Then take appropriate action. An example might be you discover that you are spending twice the amount you planned for on stationery. Your telephone bill might be much higher than you anticipated. When you discover that this is the case, look into the possibility of switching providers for a more competitive rates. Look at adjusting your cash flow forecasts when you find these discrepancies so they are more accurate going forward. Having a good working relationship with lenders with stand you in good stead should you need to borrow. However, having sound financial records and a profitable company with good cash flow will win hands down every time. It may pay to borrow at a time when you don’t absolutely need the money, where you anticipate a future downturn, as it might be harder to borrow at the time when you really do need the cash. Don’t allow more that 10-20% of your business to be with any one customer. Where you have a higher exposure with one customer, not only could this be catastrophic should that customer go out of business, but also, if you lost this one large customer your business may shrink by such an extent that it is no longer viable. Over trading is a classic problem for growing businesses. It can and is a huge downfall for many a business. The problem comes where the business is expanding so much and it simply runs out of cash. Plan for this and take appropriate action, like invoice financing, better credit terms with your suppliers than with your customers, etc. Holding too much stock will tie up your cash. It could also mean you end up with obsolete stock too, which will affect your profits and cash flow. Make sure you carry out regular stock takes and don’t over-order. Instead of leaving old or slow moving stock in your warehouse, consider selling it off at a discount. This will benefit you by creating room in your warehouse to carry more profitable stock, and it will provide a small cash injection. Remember, if you leave old stock in your store room for too long, it will eventually become obsolete. As already mentioned, you could use invoice discounting or factoring. This is where you use a finance company to advance you up to 80% of your sales invoices at the point they are raised. This form of financing can be a great way to improve cash flow, but it can also be very expensive too. Factoring companies also offer credit insurance too, so that should any of your customers default, your business will not lose out. Another benefit of factoring is that the factor company looks first to the creditworthiness of the customer who owes the money, rather than the company which sells the accounts receivable. In today’s economic climate this is much harder to do, as interest rates are so low. However, it’s still good discipline to keep your larger cash balances on deposit. Look out for higher yielding money market accounts where you don’t need the money for longer periods. Obtaining good credit terms with your suppliers is free credit. Rather than borrow from a bank, borrow from your suppliers. Get longer payment terms than you have with your customers, especially on your larger accounts. At the outset as a new business this is more challenging, and you may even find you have to pay up front of cash on delivery. However, as your business becomes more established, revisit your payment terms, or consider switching suppliers. Early payment to suppliers can hurt your cash flow and should be avoided if possible. Delay payment as long as you can whilst remaining consistent with the terms of the sale. If there is no penalty for late payments, set a pay cycle of 45 to 60 days from receipt of an invoice. While slowing the outflow of cash is important, it is equally important to maintain a good credit rating and cordial relations with your critical vendors. Small businesses which provide a regular service or product should consider adopting subscription sales whereby customers prepay on a monthly basis. Many software suppliers have gone down this route now. But also, newspapers, magazines, cable television, landscaping, computer support and maintenance companies are examples of products and services which lend themselves to a subscription model. Constantly review your costs and overheads. Make sure you keep your spending tight, even when you have good cash flow, as you will find that should cash flow become tight, having kept a tight rein on spending will pay dividends as this time. Consider repairing broken equipment instead of replacement, as this will reduce your overall capital outlay. Consider this carefully though, as you don’t want a piece of equipment to end up costing you more in repairs than it would have done to simply replace it. Following on from repairing is to have a good maintenance program in place for all your capital and equipment. For example, your vehicles, make sure these are services regularly and on time, as breakdowns end up costing much more and cause other difficulties for your business. Used equipment in good condition is generally just as good as a new piece of machinery. Search local advertisements and eBay and other auctions in your area. You can pick up great bargains from companies whose assets have been foreclosed and are being sold by a lender. You may be able to buy quality used equipment with massive savings, which in some cases are nearly new. Bartering is probably one of the oldest forms of trade and has been around for centuries. It is still alive today and if you ask you may find companies agreeing to do a trade with you. The beauty of barter is that it usually involves no cash. 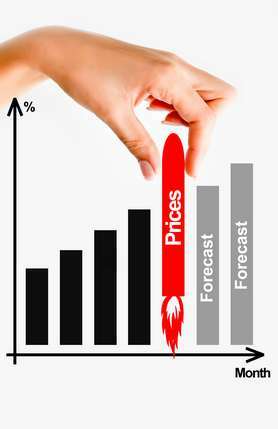 To improve your profitability you should consider increasing your prices. By making sure you collect your monies on time, this will in turn improve your cash flow and resulting cash balance also. Carry out a review of all your product or service lines. Where any lines are not profitable or are not showing a good enough profit margin, consider either stop selling that item or increasing the sales price on that item. There may be times when you have a loss-leader, but review this carefully. It is important to realise the relationship between profit and ultimate cash in the bank. Whilst It is vitally important to be a profitable business, it’s pointless making a profit if you don’t collect the cash. So always put cash flow at the top. There are many businesses that fail even when they are profitable, simply because they fail to collect the cash. Having said what I’ve said about focusing on cash flow instead of profit, it is imperative you are more concerned about your bottom line than with turnover. Turnover is not always good, only profitable turnover is good. So don’t go for as much turnover as possible, always review what you are selling an at what cost. All items you sell must be sold a reasonable gross profit margin and certainly not at a gross loss. Governments are always providing businesses with grants or incentives to trade. Look out for these as they can significantly affect either your capital expenditure or operating costs. If you obtain a grant towards new equipment, this will reduce your cash outlay. 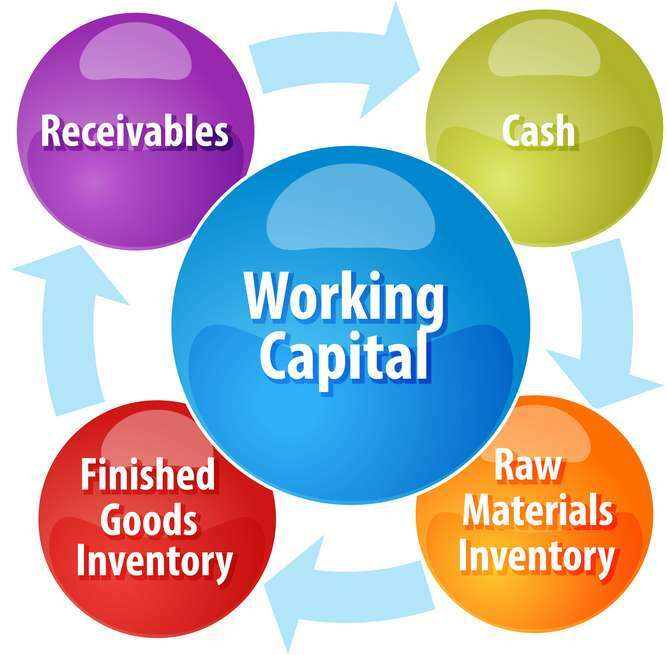 Where you are looking to buy capital and equipment, instead of paying cash, consider using finance or even leasing. Using finance will cost, but it will also spread the cash out flows. You can obtain quite high levels of finance on vehicles using hire purchase, with a low deposit requirement. If your business already has an outstanding loan, consider talking to the lender(s). In some cases, it may be possible to get more favorable credit terms, such as lower interest rates or extended payment terms, which can help boost your cash flow. If you have any plant, equipment or vehicles sitting around not working, consider selling them which will generate additional cash. Both Amazon and eBay are good places to sell this type of equipment. Relentless optimism is a key trait of most successful entrepreneurs, however, be realistic when you are forecasting your future sales. The last thing you need is to be well under budget, as this could seriously jeopardise your business. Be optimistic, but realistic. Saving tax will also improve cash flow at critical times in your business cycle. So make sure you get good tax advice and only pay the amount of tax you need to. But make sure you don’t tax evade, whereas a carefully planned tax strategy is good for business. A good example of getting good up front tax advice is around research and development expenditure, as this can make a significant difference to the amount of tax you pay, if the claims are made correctly and on time. 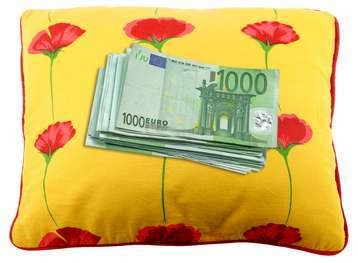 Keeping a cash buffer or cushion is good practice. There will always be ups and downs in your bank balance, and there will be an unanticipated expense that comes along. So be prepared and don’t always spend all of your money. If your company is working from a zero account balance, one slow sales month, or having too many customers not pay on time, could mean instant disaster. A good way to safeguard your business from cash-flow issues is to maintain an account balance equivalent to at least two months of operating expenses. That way, even if you experience unexpected falls in your cash flow, you will have the reserves in place to protect yourself. And finally, I like to finish off with a few statistics about business failures, with a hope that you at least implement as many of the above tips in your small business. – You’ve probably heard the statistic that over 60% of businesses that go bust are still profitable, but just ran out of cash. – A study by a prominent U.S. Bank found that as many as 82 percent of startups and small businesses fail due to poor cash-flow management. – Successive studies point to the problems that poor cash flow can bring, with typical figures suggesting that around 80-90% of small businesses fail because of bad cash flow. A chronic late payment culture isn’t helping small businesses in today’s economic climate, with delays of over two months now are very common. A recent study by the Asset Based Finance Association suggesting that the average wait for payment now sits at 72 days. According to the last Office for National Statistics study into the area only 45% of startups survive beyond five years. A recent study by the insurer RSA suggests that 55% will fail to make their fifth birthday.